Mao Zedong died in 1976 after leading the China through twenty-seven years as a nation and over fifty years as a revolutionary leader. To honor this man known as the "Great Helmsman" a memorial was rapidly erected in the center of Tiananmen square soon after his death. 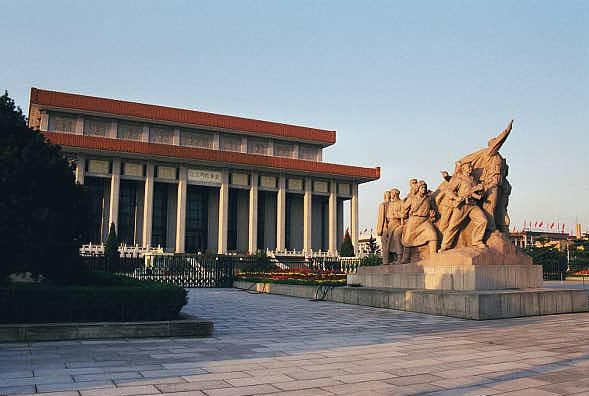 Inside is the preserved remains of Mao himself, permanently on display in an open coffin behind a glass chamber.